AnonD-278523, 05 Mar 2017This is what is love.. love is not only about human relations.. its about something we deeply ... moreHahah! So tight brah! Please tell about the maximum sms capacity. 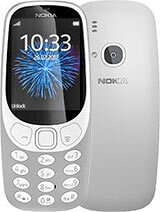 the first phone i ever had..
dom, 16 Mar 2017guys i have the original nokia 3310 with the original battery,charger,manual and the original ... moreI have no idea cause there are so many units sold of this phone. I have mine still too and no way I'm gonna sell it. Anonymous, 25 Mar 2017I dropped this phone at school one time, my parents had to pay for the new floor.hahahaha! Anonymous, 04 Mar 2017It is with WiFi and camera pls send e-mail Address I dropped this phone at school one time, my parents had to pay for the new floor. dom, 16 Mar 2017guys i have the original nokia 3310 with the original battery,charger,manual and the original ... more90Million US dollar.